Nonprofit Membership Associations: Serving Members Today or Shaping the Field for Tomorrow? As the nonprofit sector has had to shift in response to 'small government' by diversifying revenues and responding to greater social needs, there is one type of nonprofit entity that has remained largely overlooked as a potential change agent. I’m talking about membership associations that support groups of nonprofits unified by a common geography, type of entity, or cause. What make membership-based intermediary organizations so important are the same reasons that they are not that exciting to talk about: Membership associations are the glue connecting the people that comprise the nonprofit sector together; they are a primary piece of infrastructure that enables the sector; and they are the ‘institutional memory’ of their fields helping to retain past knowledge while ramping up new professionals. 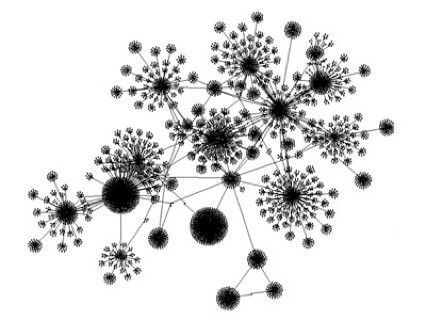 In fact, researchers have attributed the “carrying capacity” of a community’s nonprofit sector (i.e., how many nonprofits a community can sustain) to how well a community has developed an infrastructure of “network exchanges” (Paarlberg and Varda, 2009). In other words, yes, nonprofits need money, but if you want to see results, take a look at how well nonprofits are networked. A nonprofit working in isolation is less capable of realizing its mission than one that is connected to others. An intermediary, membership-based association's primary function is to provide services to its members. But these institutions can do much more than just respond to where their members are now. These organizations, because they are so well connected and influential, are well poised to deliberately shape the future of their respective sectors. Unfortunately, too often, they remain in the nonprofit background as they quietly focus on serving their members than on actively shaping the field. For instance, if membership associations continue to focus on issues that are most pressing for the majority of their members, then marginal but critical issues remain overlooked, such as support for affordable health care by those outside of the health sector, or changing copyright laws to unfetter creativity by those in the arts, or pushing for a common grant application no matter how unpopular this idea among individual members. In other words, there are a whole host of issues that need to be brought to the forefront for the good of all, and membership associations can either take up issues based on popularity among their membership—a service-based, reactive approach—or take a stand on the importance of unpopular issues that benefit the sector as a whole—a leadership-based, proactive approach. There is, of course, good reason why membership associations are not often at the forefront of change: Focusing on service ensures that dues-paying members are satisfied, while exerting bold leadership risks disenfranchising members. To paint a picture of the distinction I'm talking about, I’ll share two examples of leadership-based changes that took place fairly recently at membership associations. The first occurred when I was vice-chair of Grantmakers in the Arts (GIA). We had a problem with a particular practice of grantmaking—the kind that ‘hollows out’ nonprofits with grant amounts that do not cover the full operating costs of implementing a funded project. For years, many in the field (notably, Nonprofit Finance Fund, Center for Effective Philanthropy, and Grantmakers for Effective Organizations) discouraged the practice of under-funding grantee organizations. But, as a board, we felt unready to ‘pick a side’ on any specific grantmaking practice; we did not want to disenfranchise members who felt they had their own good reasons for not providing general operating support or honoring application request amounts in full. For years, our softball approach was to educate members on this issue and avoid favoring any particular grantmaking practice. Ultimately, GIA picked a side, and what made us ready to be bold about our opinion was a conflation of new executive leadership, the Economic Recession, and common experience among board members on what constitutes beneficial grantmaking practices. GIA boldly communicated that undercapitalizing public charities is bad practice—public charities not only need enough money to cover the entire cost of a project but also enough to build a financial surplus to weather emergencies and afford opportunities. GIA leadership made capitalization of public charities a conference theme, commissioned research on capitalizing nonprofits, and continues to convene regional workshops on this topic. Sure, there was some complaining about how GIA was telling its members what and how to do grantmaking, but nobody dropped their membership. Most notably, GIA's influence on so many arts funders effectively pushed this message out: Today, arts nonprofits all over the country are recognizing the business enterprise aspect of their work, are working to retain surplus, and are having conversations with their funders about the real costs of projects. Looking back, it seems like such a ‘no duh’ proposition to champion a healthy grantmaking approach, but for an association that makes its living on holding onto as large and diverse a base of members as possible, this was not an easy decision. But, after more than a generation of grantmaking, certainly this sector should be improving its grantmaking practices, and a membership association of grantmakers was an ideal vehicle for pushing for better practices. This dramatic change in dues structure does not just impact AAM financially (e.g., what if every museum wants membership essentially for free?! ); it fundamentally affects decision-making by reminding its governing body that decisions must now be made on behalf of ALL museums, not just dues-paying members. This shift is embodied in their concurrent name change from the American Association of Museums to American Alliance of Museums. The former spotlights its function as an association of only its members; the latter calls attention to its new role in unifying the entire sector and connecting with partners. In addition, what AAM’s name change signified is that member-serving associations should think more about strengthening their sectors by finding common ground, rather than specializing and distinguishing themselves and their members as so different and unique. The former creates unity while the latter promotes fragmentation. For funders, it’s bold moves like these by membership associations that need to be supported. This is the kind of experimentation and potential innovation that is widely needed, but is also very expensive. It’s terrifyingly risky financially to possibly disenfranchise members or re-write your entire earned revenue model. Membership associations hold tremendous promise for advancing the nonprofit field in their role and function as educators, modelers of behavior, and the connective tissue unifying so many individual organizations. Member-serving intermediaries have not been the first place funders turn to for innovation in the field but, they should be, especially if they have the kind of visionary leadership that can compel change throughout their sectors by moving their members forward.